Over 80% of PNG files can be compressed! The main purpose of the “mini PNG Lite” tool is to decrease the size of PNG images to save you a lot of space. 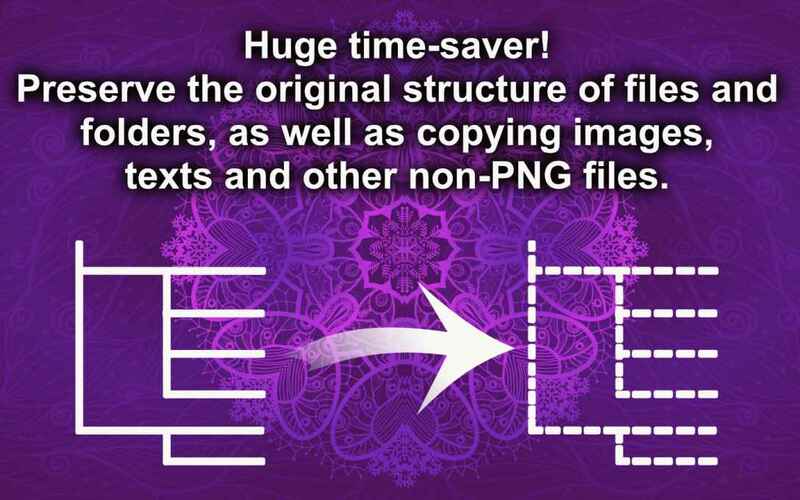 Use this tool to compress your PNG files, so that they take up a lot less space in your apps, on your websites, in your emails, on your USB drives, etc. 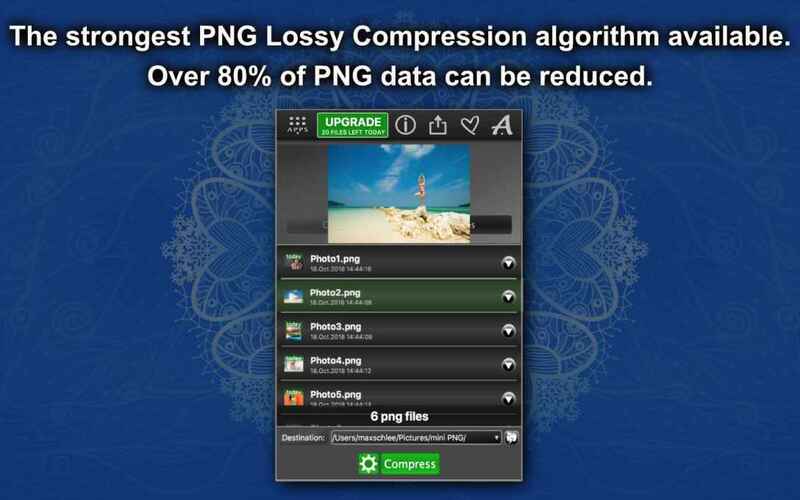 – The strongest PNG Lossy Compression algorithm available. Over 80% of PNG data can be reduced. – Drag & Drop PNG images and folders into the app window. – An option to preserve the original structure of files and folders, as well as copying images, texts and other non-PNG files. – You can preview all dropped PNG files before and after compression using the embedded viewer. – During the compression process, the tool displays the amount of space saved, the number of files and other useful information. 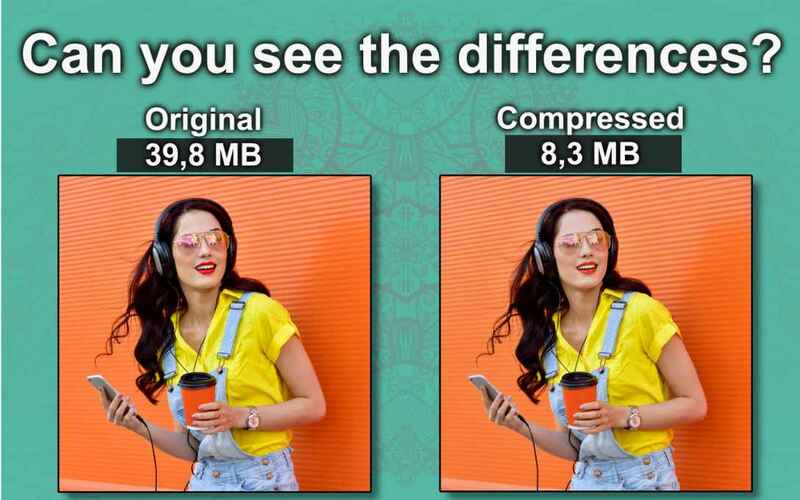 – Compression of high resolution images. – A special optimization path for grayscale images. – You can change the destination for your compressed PNG files. – After the comression is complete, the tool notifies you and displays the destination folder. Try our full version of miniPNG!